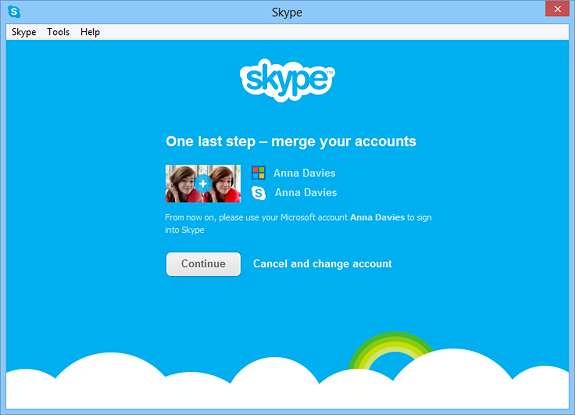 We announced some time ago that Windows Live Messenger was merging with Skype. Well Microsoft has begun sending out emails stating that Windows Live Messenger will cease to exist March 15th 2013. Messenger will continue to work as you know it today. If you are signed in with Messenger on your desktop** you will see a banner notification to upgrade. When you click on the banner, an installer window will open with the request to upgrade. This will take you through our installer flow to install Skype and automatically uninstall Messenger. Messenger users on desktops** will not be able to sign in and will only be able to upgrade to Skype. If you attempt to sign in, a notification will appear, and if you continue, you will be taken through our installer flow to install Skype and automatically uninstall Messenger at the same time. * To get group video chat, you’ll need a Skype Premium subscription. ** Newer versions of Messenger will be able to receive the optional upgrade notifications. Older versions will not receive the notifications and you will have to download Skype manually. Written by: Hyde13 on January 9, 2013.